This course has replaced PTLLS and has been designed to provide an introduction to teaching for individuals who would like to work or currently work within FE Colleges, Independent Training Providers and/or Local Authority. Learners gather knowledge about the role and responsibilities of a teacher, developing skills which will enable them to plan, deliver and evaluate basic teaching and learning sessions. It is suitable for individuals who do not currently teach, those who do teach or train, and for assessors who wish to achieve an introduction to teaching. The PIP First Aid Instructor Training Course is designed to get you teaching first aid in your workplace or to start your own business quickly and effectively. Our comprehensive 5 Day instructor training programme includes 3-day First Aid at Work training combined with Level 3 Award in Education and Training. 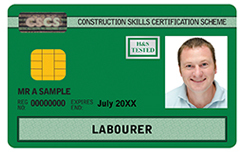 Our qualification valid for three years on completion of the course.